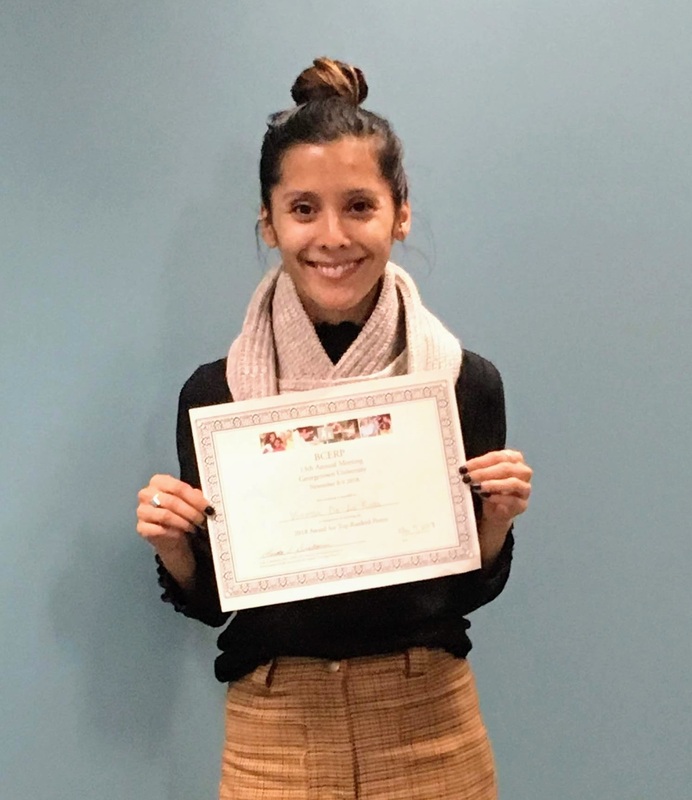 We are proud to congratulate SSEHRI researcher, Vanessa De La Rosa, who recently received an award for her poster at the 2018 BCERP (Breast Cancer and the Environment Research program) Annual Meeting held at Georgetown University this month. The title of her poster is, “Mining high-throughput in vitro testing data to inform in vivo BCERP studies.” The main goal of this study was to use publicly available data and tools to learn more about the biology and toxicity of endocrine disrupting chemicals and use this information to inform breast cancer studies in rodents. Through her research, Vanessa found that many of these chemicals alter the synthesis of steroid hormones and also activate nuclear receptors, both of which are relevant to breast cancer.